Viruses are something human beings have always been wary of. Think of biological viruses. What comes to mind? The little critters are immune to the effect of antibiotics; they seriously sap your energy and are capable of making you lie low for weeks. You can’t really “cure” a virus. You can just take preemptive measures and if infected, hit it with medicine firepower to slow its replication. Read on to know more about computer virus information. The number of computer viruses has grown exponentially over the past few years. In 2008, there were a million separate signatures. In 2012, there were 17 million separate signatures. New viruses are detected and defined almost every day. It starts replicating itself at a very fast pace. It gets to work on your system files, your interconnectivity (Internet connection, Bluetooth capabilities) and your stored data. What starts as a small glitch quickly turns into a complete device failure or crash down if the viral activity runs rampant and unchecked. What are the Common Symptoms of Virus Infection? There are too many signatures (species) online and encountering one is very much probable. Hapless users might get infected visiting websites, downloading music, through communities and forums, and even by opening email messages. Some viruses are dangerous. As soon as they enter the system, they start to attack it. If you no longer have control over how many windows your browser opens, then you are likely the victim of a fast acting strain of virus. Computer malware comes in all forms. Some are more commonly found than others. This one evolved from its early boot action virus predecessor. The programs are designed to write their own code early in the boot process of robust Operating Systems (OS) like Mac and stay below the radar of the OS, quietly infecting key processes. But they can’t really impact other storage devices like USBs that may be connected to the malignant main memory. You must have come across this signature on your Internet jaunts. 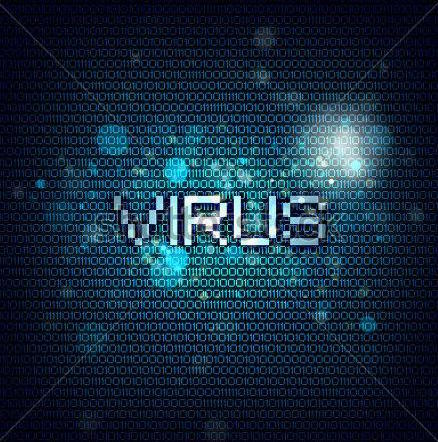 The virus simply infects your browser of choice and overtakes all important functions. You may find yourself being directed to sites of questionable reputation where you are asked to click advertisement links or consume adult content. File infecting viruses are generally attached to executable files with the extension .exe. Such signatures, first and foremost, rewrite the actual code of the file and when the altered file is run, they deliver their payload to the host environment often completely reformatting the hard disk and wreaking havoc. Multipartite viruses are the most malicious and can cause considerable damage. This is because they spread in multiple ways. They are capable of leveraging both file infectors and boot infectors simultaneously to attack the boot sector, system processes and data. In short, they can destroy an entire device requiring a strong anti-virus installation and disc formatting from scratch. Polymorphic viruses are exceptionally hard to detect. They are self-encrypted programs that replicate themselves with each new file they infect but the replicated versions have a different signature or binary pattern to successfully evade the scrutiny of all but the best anti-virus protection. What Can You Do to Keep Viruses at Bay? The most fundamental step is the installation of a good quality, comprehensive anti-virus software. You should also ensure that your Mac firewall is up and running. If you do both, viruses have a hard time targeting your system and if they do enter the environment, they are detected and eliminated. There is no foolproof way to keep yourself safe. However this basic computer virus information will at least make you aware of what is a good practice and what might be putting your system in harm’s way.